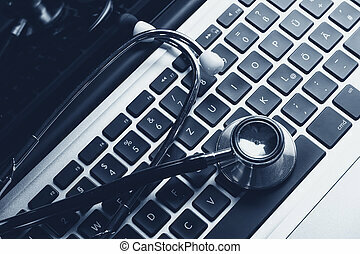 A medical stethoscope and an laptop computer. 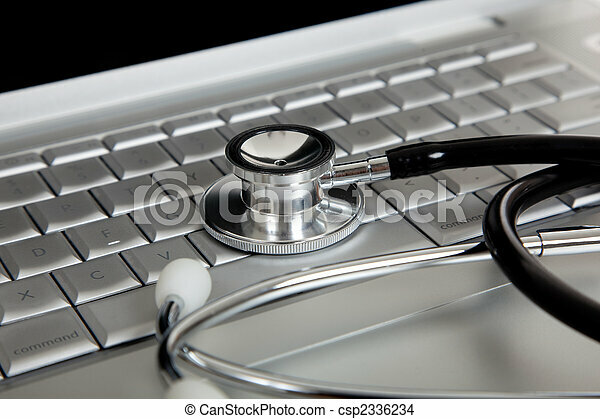 A medical stethoscope and a portable laptop computer. 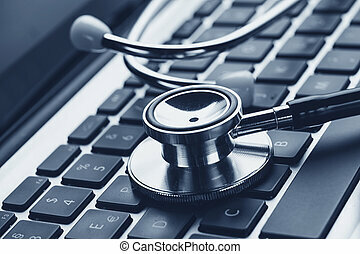 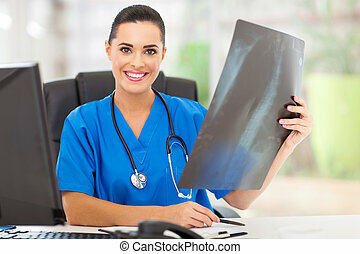 medical information and technology concept. 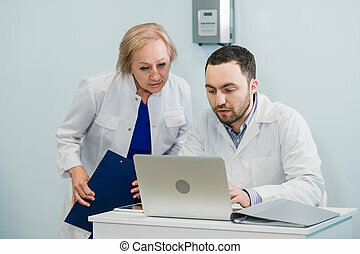 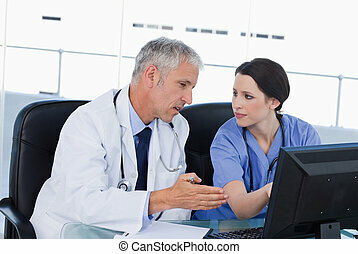 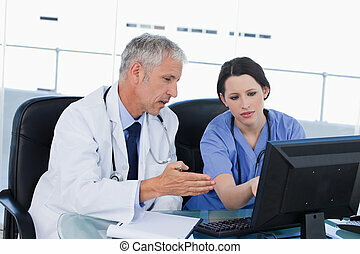 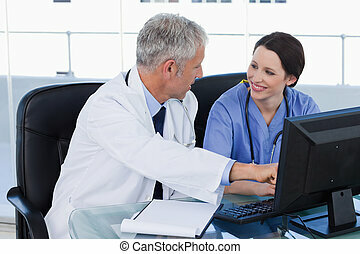 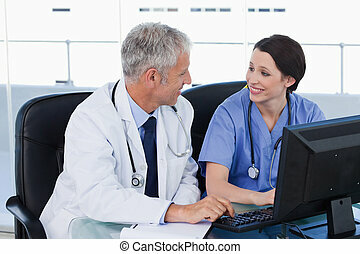 Doctor and nurse reviewing patient information on a laptop computer in an office setting. 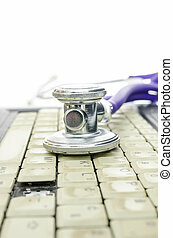 Detail of stethoscope on an old and dirty laptop keyboard missing a key. 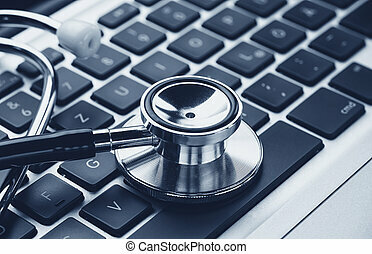 Concept of computer service. 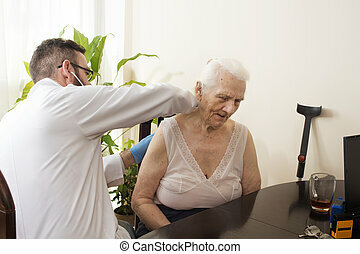 Doctor examining an old woman with a stethoscope in a doctor's office. 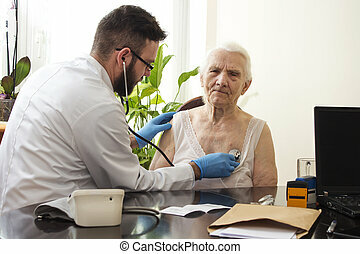 Doctor examining an old woman with a stethoscope in a doctor's office. 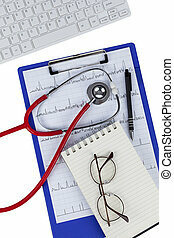 Medical examination with a stethoscope. 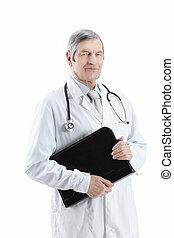 Geriatrician doctor examining lungs.